When I was a boy I had the good fortune to have an older brother who was artistically inclined and could take toys and models and customize them with paints, lights and he also could repurpose old toys and create amazing things. He was and is brilliant at this. Around 1979 it was not uncommon to see booklets with punch out cardboard pieces that enabled a kid to build a refitted Starship Enterprise circa Star Trek: The Motion Picture or the Cygnus from Walt Disney's The Black Hole. 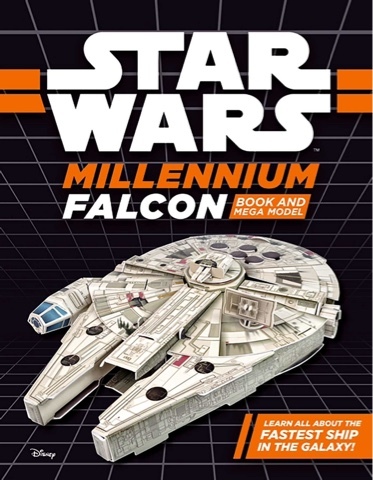 These were fun rainy day products that for their time were quite extraordinary, but none of them hold a candle to the Star Wars Millennium Falcon And Mega Model by Fun Studios International. 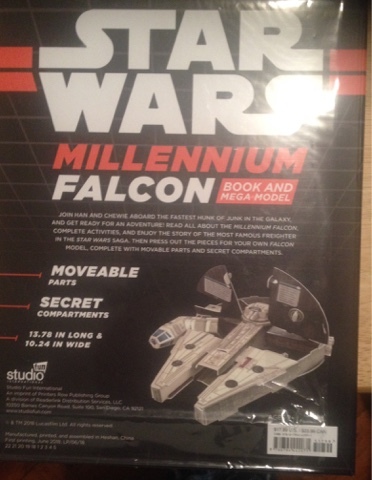 Basically for a low suggested retail price of about $17.99 in the U.S. or $23.99 in Canada, hobbyists ages 7 and up can build a big and detailed Millennium Falcon from high quality cardboard complete with moving parts and compartments that open up and feature explanations for what is inside. 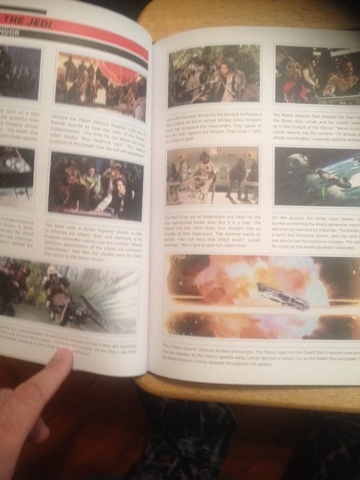 The kit comes in protective plastic that one must carefully slip off to discover a hardcover book, which when opened has on one side a soft cover booklet containing information on the history of the Millennium Falcon from A New Hope through to The Force Awakens and briefly touched upon The Last Jedi as well and includes colorful photos and puzzles followed by the detailed instructions on how to build the Millennium Falcon circa the sequel trilogy of the Star Wars Saga. 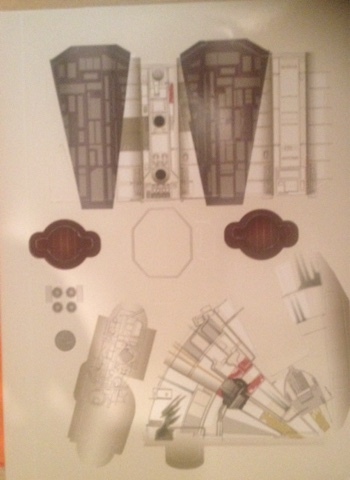 For those not used to building something like this, the process can be intimidating with approximately 62 double sided high quality glossy and detailed flat pieces and must be folded fully and assembled with great care. I strongly urge parental supervision during the process. The completed product looks astonishingly good for what it is and is both light yet surprisingly solid to the touch. 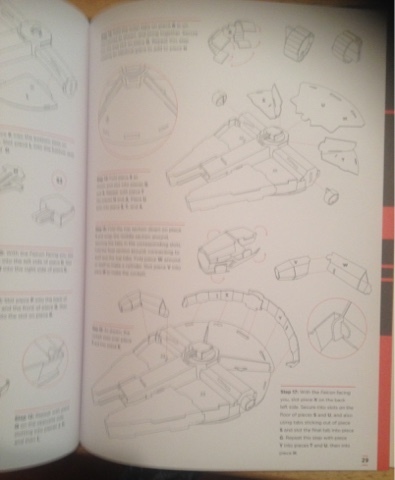 Each piece has a letter assigned to it in the instructions, but some pieces have the letters to the side and so be careful not to prematurely punch anything out and I cannot emphasize this enough, read and follow the instructions carefully. 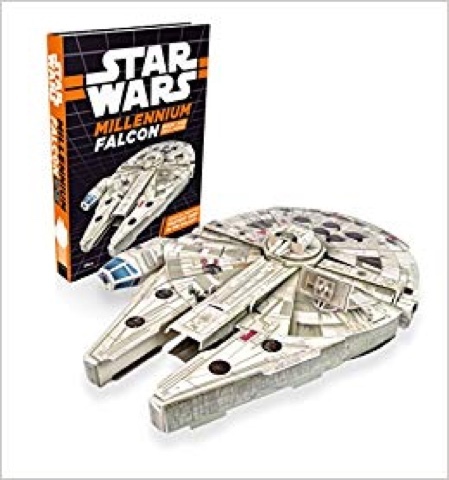 When completed you should have a beautifully constructed cardboard replica of the Millennium Falcon and the book it came in should you want to display them together. 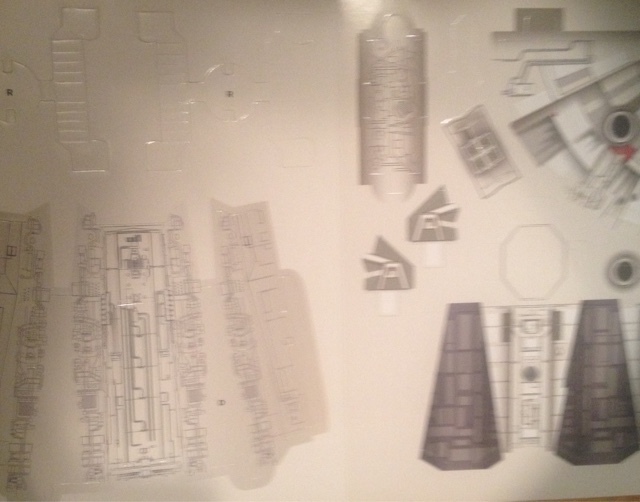 Sadly once the model is built, there is not much else one can do with the hardcover book packaging. If it was a binder, it could be repurposed, but as is there is not much else to be done since the instructions, games and information booklet slips out too so you don't need the hardcover packaging and thus if you are short on space, you may end up sending it for recycling. 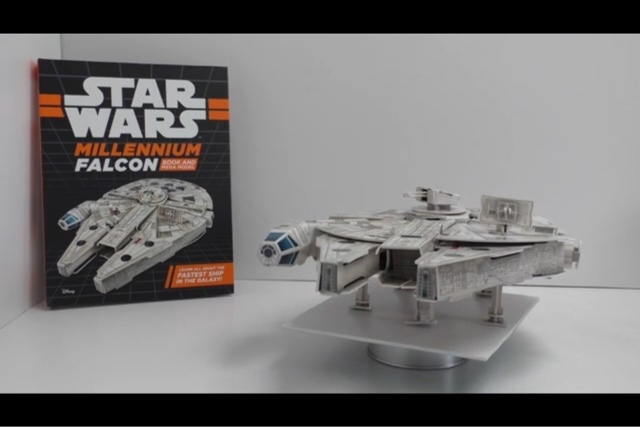 That shortcoming aside and provided you have time to fully read and carefully assemble the model, Star Wars Millennium Falcon And Mega Model by Fun Studios International offers a fun challenge for Star Wars fans of all ages and is easy to recommend.